No swatches for Folk Art Licorice acrylic paint yet! Inspired by PinkFlyingCow's design. I normally hate French tips, but when I didn't use my natural nail as a base and was able to shape my own tips, then I thought it was actually pretty nice. 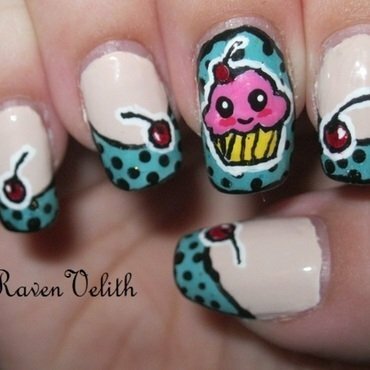 The cherries and cupcake are outlined in acrylic paint and filled in with polish. PinkFlyingCow's tutorial on this look is on her Youtube channel. I love layering Teal-y Cool over mint greens and light blues because it's subtle. It has a slight teal tinted base, fine gold glitter and larger iridescent glitters that flash teal to gold. 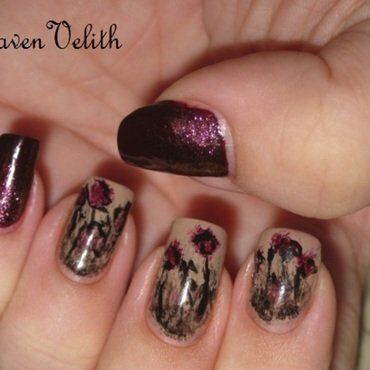 Super pretty for a not so flashy glitter look. I think it's actually renamed now as something else, but I don't remember what it is. 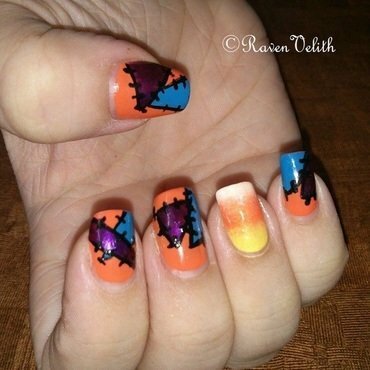 This design was inspired by Will Paint Nails for Food. I just changed the colours and did a glitter gradient on the solid nails. The black is acrylic paint. I was browsing google images for inspiration and I saw some artwork of four seasons that struck me. 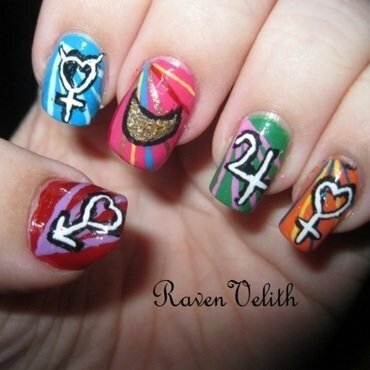 So I recreated it on my nails. 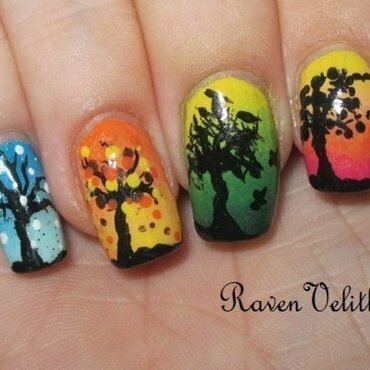 The trees are acrylic paint. Finally a design that's (technically) my own! I love Sailor Moon and have since I was little. 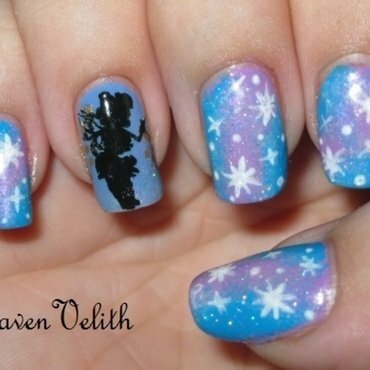 I decided to do a manicure involving ten of the thirteen main senshi. These are the inner senshi. The inside of the crescent is actually loose glitter. The entirety is hand painted. I think I got the idea for the stripes from a photo on Google. The signs are done in acrylic paint.